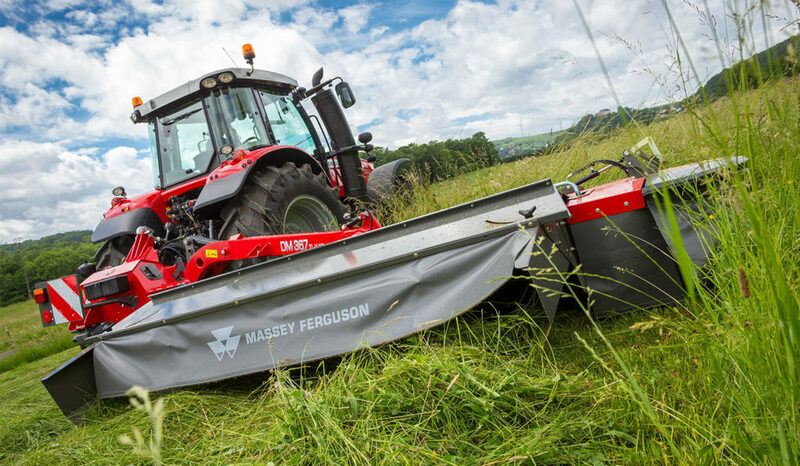 Two new, 3.1m and 3.6m wide mounted disc mowers in the MF DM TL-V Series fold vertically behind the tractor, providing extra width and even more choice in the fast-expanding Massey Ferguson hay and forage equipment range. Vertical folding provides a considerable reduction in overall transport length and helps improve weight distribution, keeping the centre of gravity close to the machine. Both mowers fold to within a 3.0m wide, with a hydraulically-folding outer panel retaining overall transport height to less than 4.0m. Hydraulic damping protects the machine during folding and transport. A novel parking stand option saves storage space by enabling the mowers to be parked safely in the vertical position. 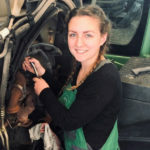 As well as providing a stable platform, the stand makes it easier to hitch and mount the mower. The fully adjustable hydro-pneumatic system enables operators to set the precise ground pressure required to suit the crop and conditions. A central pivot, which ‘pulls’ the mover from the middle of the bed, also enhances ground following. Equipped with an integral hydraulic damping system, the pivot allows the machine to oscillate up 28° and down 22°. Both MF DM TL-V mowers are offered with either the KC, tine or RC roller conditioner to enable customers to choose the best option to suit their crops and conditions.